myReviewer.com - Review - Time to believe again? 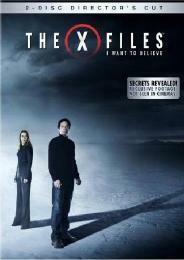 First I'll come clean, I used to be a massive X Files fan, and had been watching it religiously since day one. But after the end of season 5 and the first film, the show should have stopped. Season 6 was just about acceptable, and there were still glimpses of hope in season 7. But then things spiralled into a tail-chasing sequence of mythology that pretty much destroyed what was left of the show. The dead horse was well and truly flogged senseless. When I saw the first X Files film at the cinema (on the opening night, something I've not done since), I was completely blown away - it was the best film that I'd seen in the cinema in ages. I let this second film pass me by after the issues with the last seasons of the show. 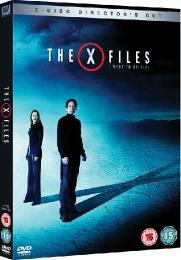 But I wanted to check it out on DVD out of loyalty to the early seasons of this once brilliant franchise. The action takes place around six years after the events at the end of the TV show. Scully is now a doctor at Our Lady of Sorrows, a Catholic hospital. We meet her whilst she is treating a boy who has Sandhoff disease, a terminal brain condition. 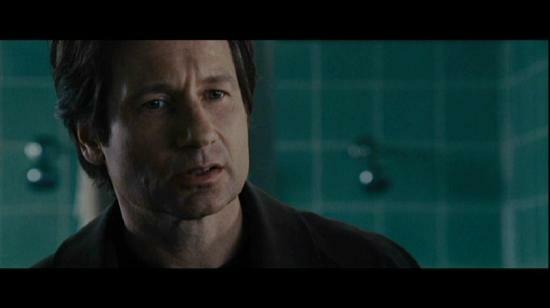 An FBI agent appears and asks for help in locating Mulder, still wanted by the FBI after the events of six years ago. 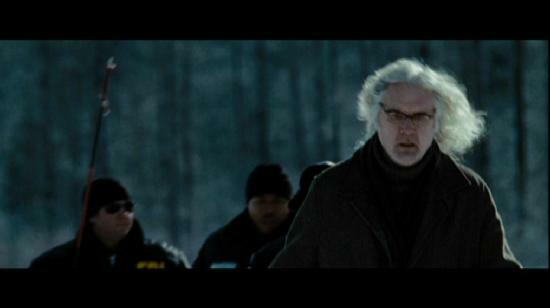 All charges will be dropped if he returns to help them locate a missing agent, and deal with a defrocked priest (played by Billy Connolly) who claims he is seeing visions of the crimes. As usual nowadays, an excellent anamorphic transfer is presented here, preserving the film's original aspect ratio. Colours are excellent and everything looks very good indeed. We've seen these characters on the big screen before, but there's a very different story here, and it doesn't have the same visual impact as the first film. It's a much darker world, particularly given the wintry conditions of the investigation that our heroes find themselves embroiled in. A very good DD5.1 soundtrack to accompany the excellent visuals. As with the picture, the soundtrack doesn't have the same impact as the first film, as this is a more low key effort. This is probably the best Mark Snow score since the last film though. Like the show itself, his work went downhill after the first film, becoming a mere parody of himself after a while. However, unlike the first film, there's a distinct lack of other music. Nice to hear the UNKLE remix of the theme tune though. Sadly we only got to see a rental copy, so nothing to see here. Right, let's get the most important question out of the way first. 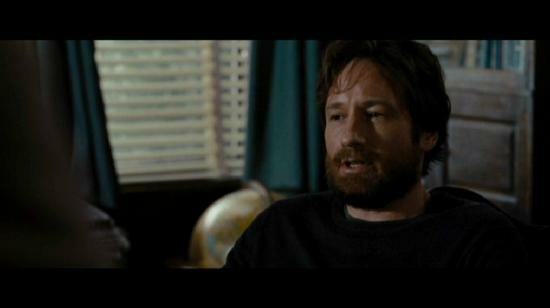 Do you need to know anything about the world of The X Files before watching this film? Again, as with the first film, I don't think that's strictly necessary. This story is just about strong enough to stand alone (it plays much like an extended episode of the TV series), and you don't need all of that back story to appreciate the essential elements of the plot here. Even with all those things, the film can still stand alone, so if you like crime drama with a little sprinkling of the paranormal then you might find something to enjoy here. For long term fans, this is a bit like a reasonable episode from the show's good period. There's no shadowy cabal twisting things behind the scenes, no black oil, no shape shifters, no unmarked helicopters hovering. Just an old-fashioned X Files episode which is worth watching. Sadly, I can't tell you about the commentary, documentary, deleted scenes or other extras supposedly on the 2 disc version of this DVD, since we weren't sent them for review. Which is a real shame, as these are the things that will definitely be of interest to the core market for this DVD! But what do we humble reviewers know anyway? So, the film is worth watching, whether you are a fan or not. This DVD will probably be worth getting, as I expect that the extras will be quite interesting. But that's just a spooky Fox Mulder style premonition, and is not based in Dana Scully style scientific fact, since I didn't have all of the evidence with which to make a reasoned judgement! PS - if you still think that it's a good idea to use your mobile phone whilst driving, just watch what happens to FBI agents who commit this crime! PPS - don't forget to watch all the way to the end of the credits.